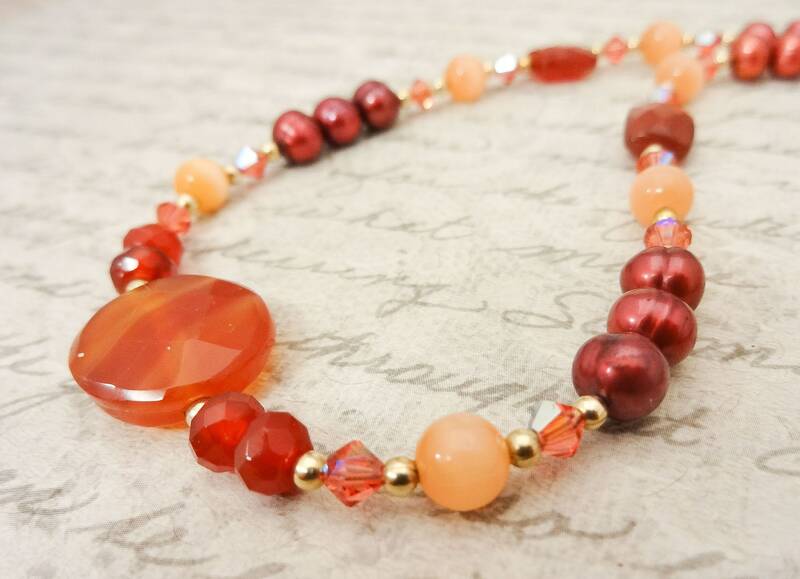 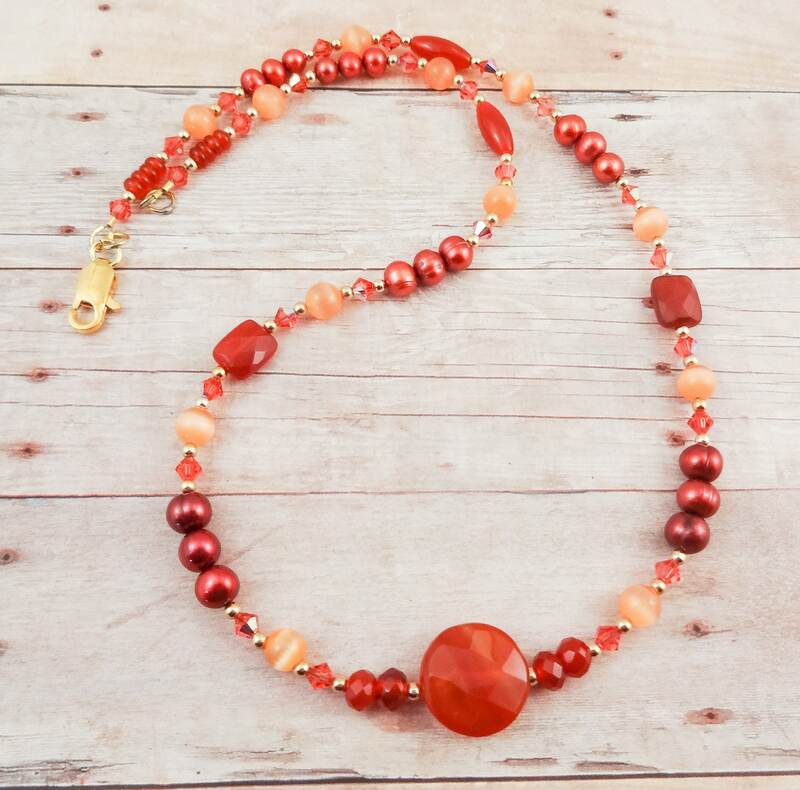 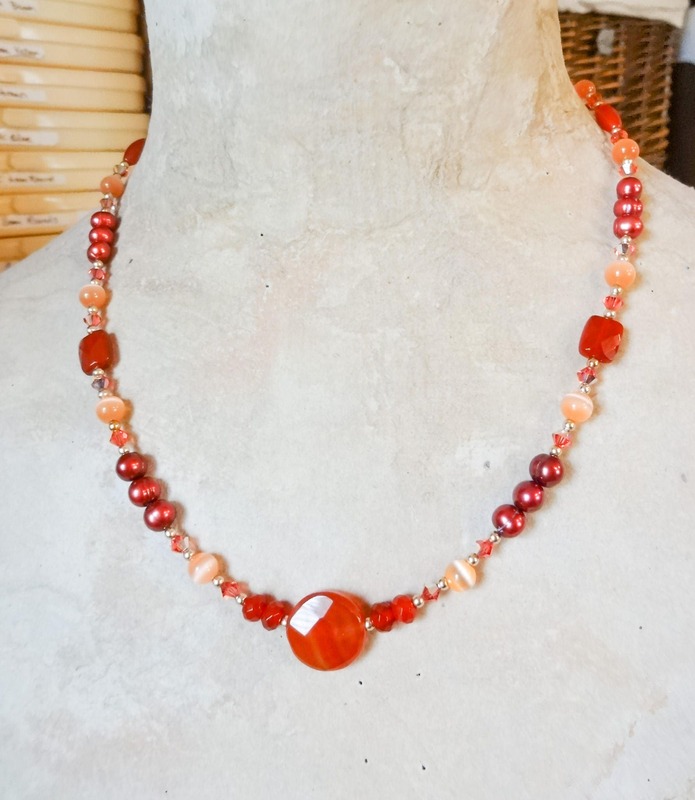 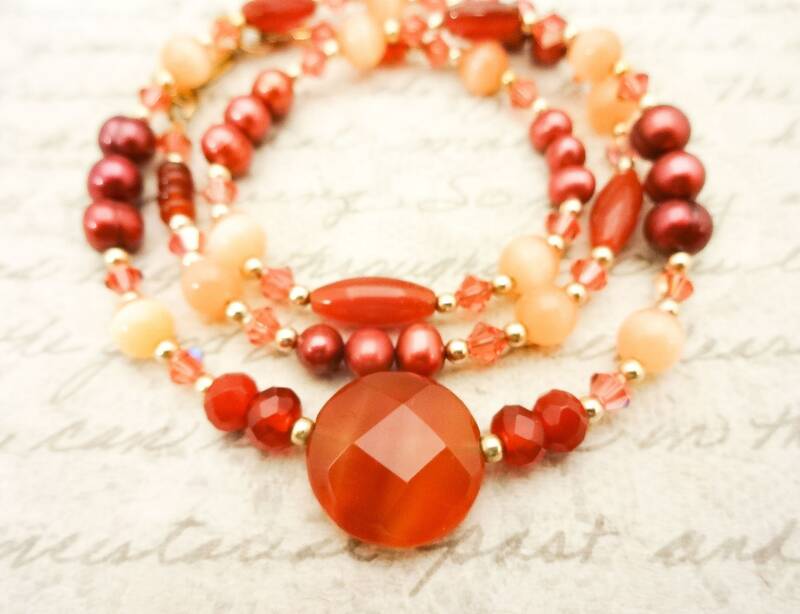 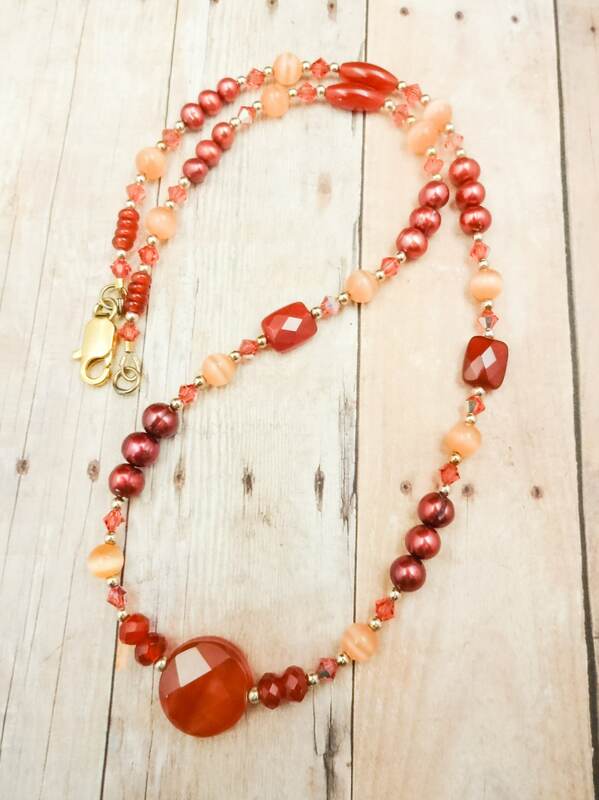 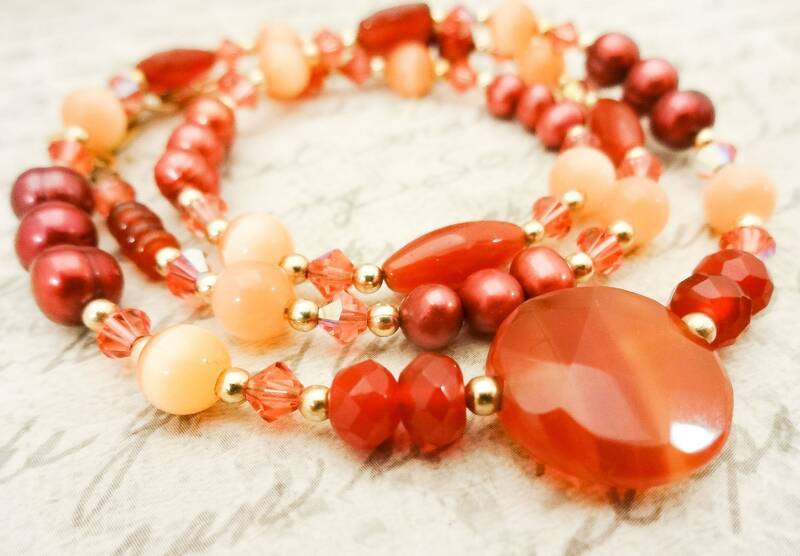 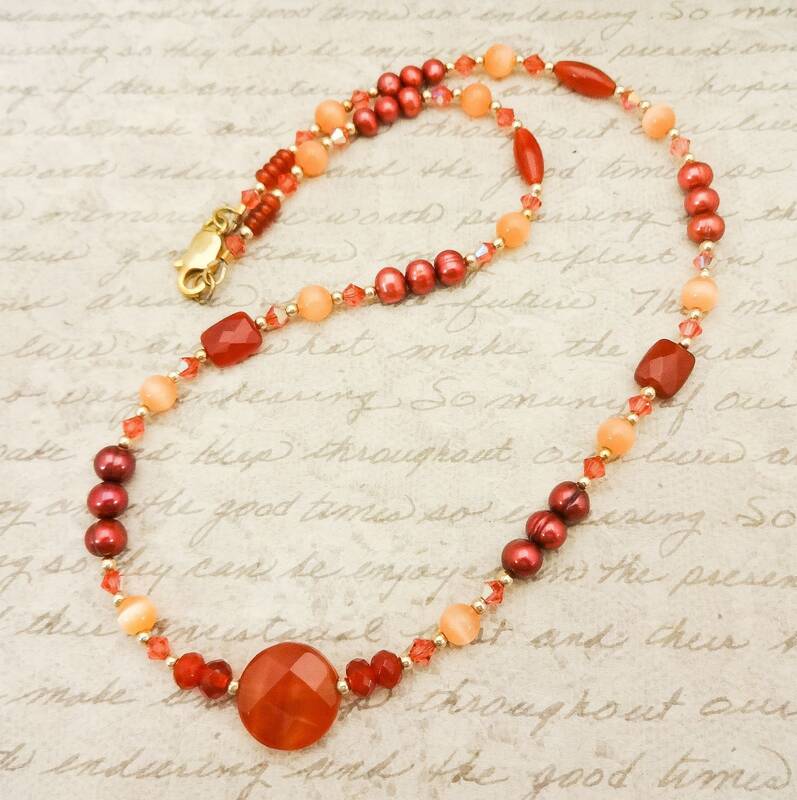 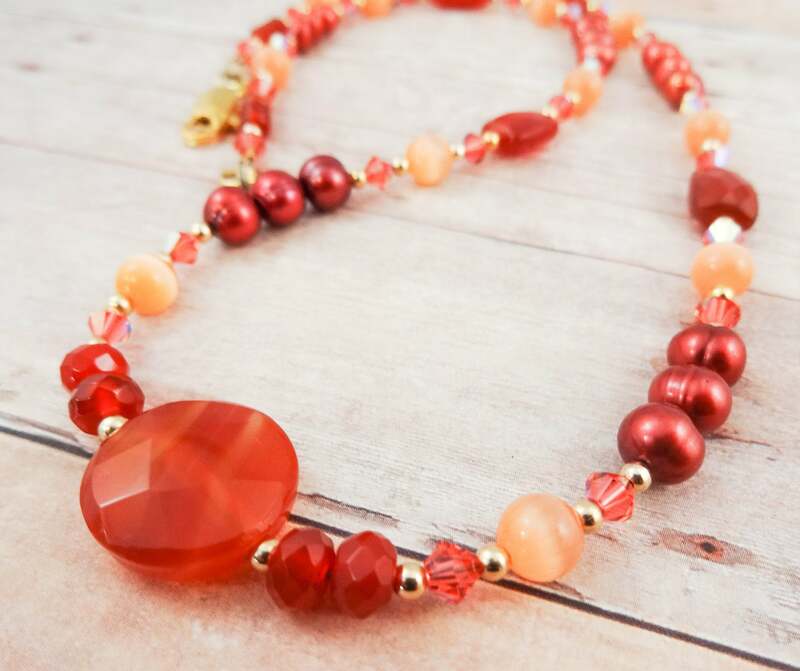 Dark orange carnelian in faceted flat rectangles and a large round focal contrast beautifully with the burnt orange freshwater pearls, Padparadscha Swarovski bicones and peach colored fiber optic beads. 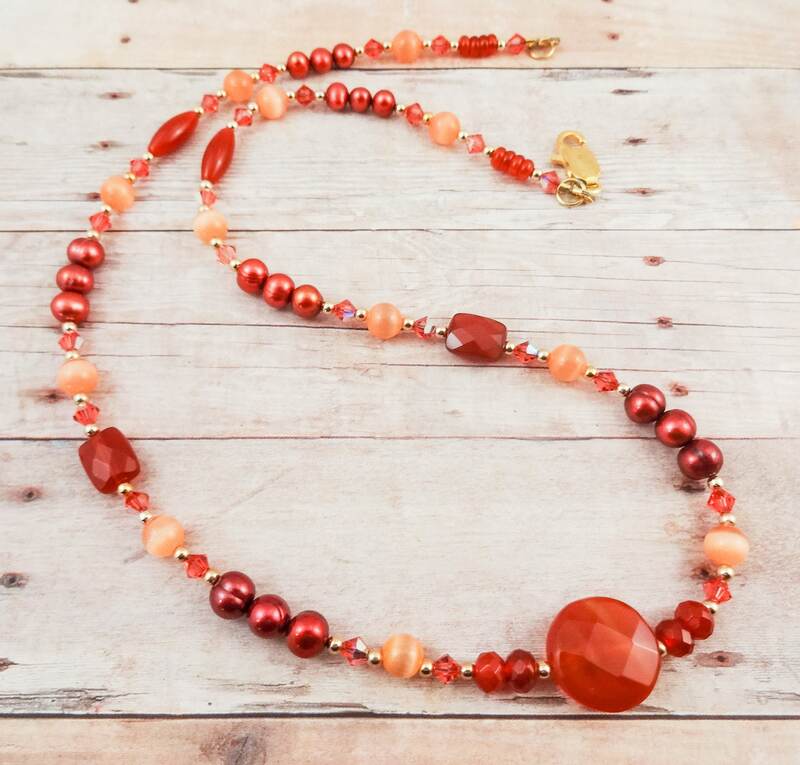 Accented with gold daisy spacers and 14k gold fill 2.5mm spacer beads, this necklace will become your favorite fall accessory. 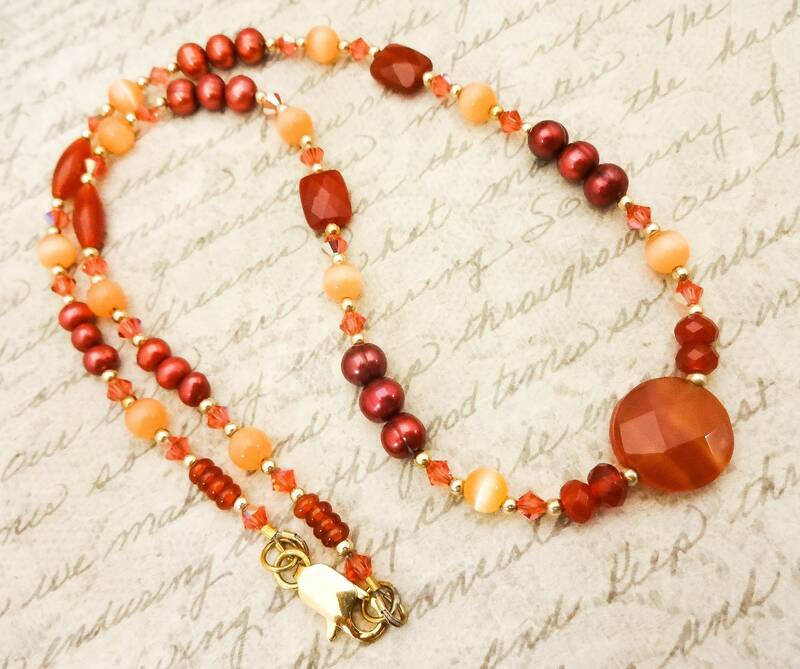 Closure is a gold lobster clasp.